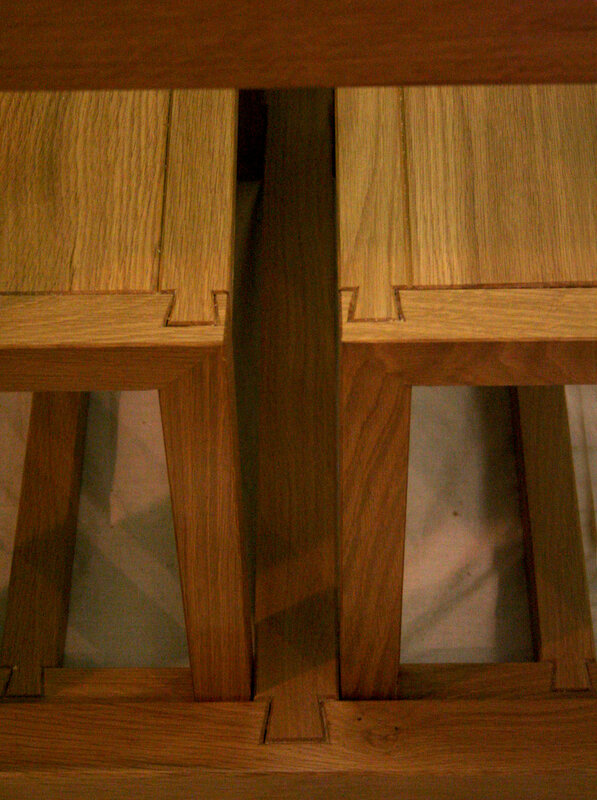 This dining table was made with a solid oak frame with large decorative dovetails joints. 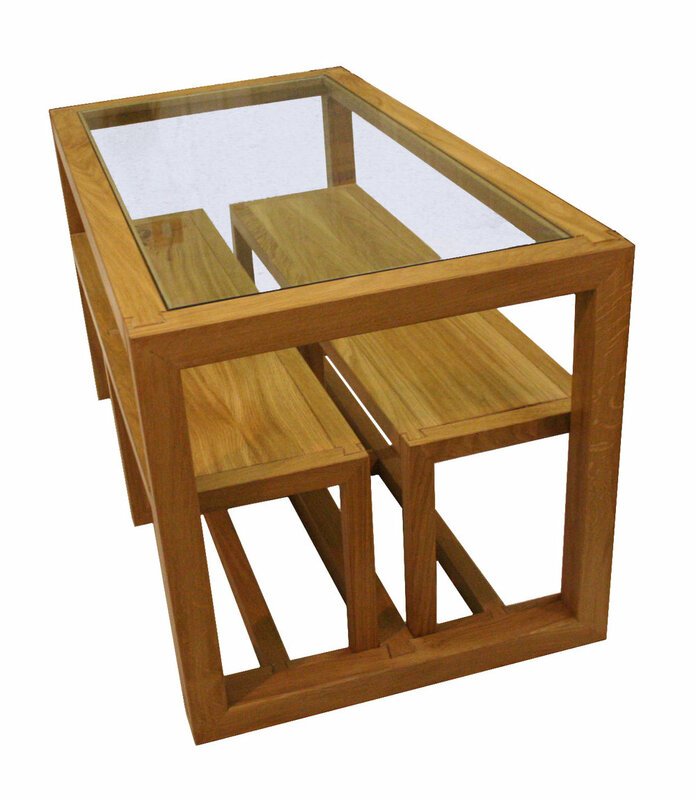 The top is made from 10mm toughened glass and sits flush with the frame. 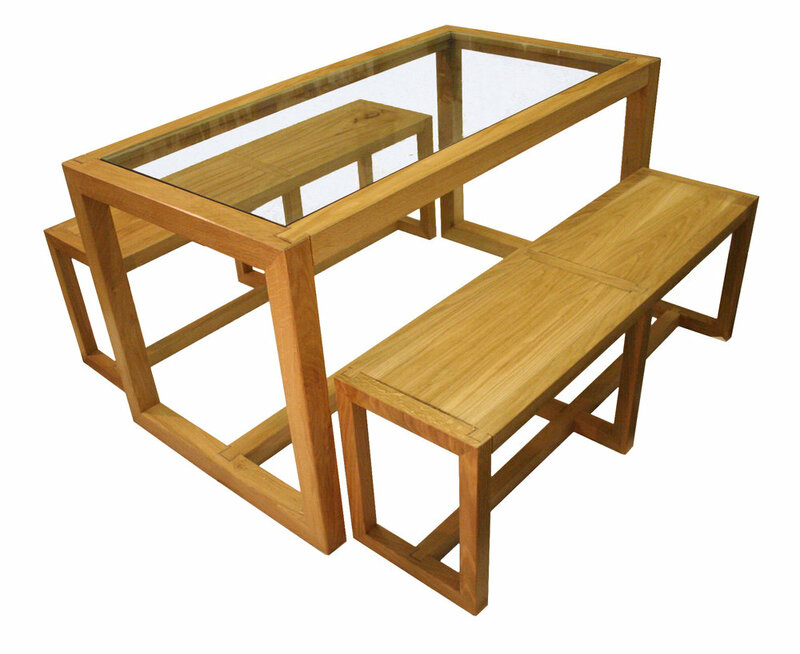 The benches can slide completely under the table meaning this set is ideal where space is an issue.